What do you mean Google changed its algorithm again? We know, you just got used to the last update and then they always seem to release a new one. Of course, Google gives good reasons for each update. Every algorithm change moves us closer to more relevant search results. Fortunately, there are several tools available that help you evaluate your site the way Google views it. Some are free and some are paid. Either way, these tools are vital to your organic search strategy. Here are some of the best ideas. What’s the best way to see how Google views your site? Probably by asking Google itself! 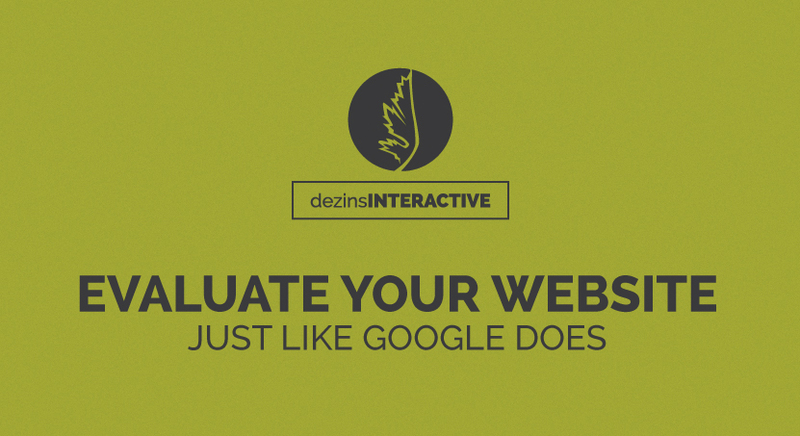 Google’s Webmaster Tools are easy-to-use resources that explain the basics of Google search. One helpful feature of Google Webmaster Tools is PageSpeed Insights. This measures the speed performance of the desktop and mobile versions of a chosen website. Mobile search is becoming more prevalent, and therefore, page speed is becoming more important to businesses. Also, Google’s Fetch lets you see a certain URL as Google sees it. The information shows you how you can modify a webpage to better results. It can also help you isolate code when you think your site has been hacked. Best of all? The Google Webmaster Tools are free. A SERPWoo subscription will help you monitor all SERP results for your keywords. This research tool provides useful for online reputation management and deep and complex SERP analysis. Now, how much will it cost you? Plans range of paid plans from $24.95 to $199.95 per month. To make sure the links on your website actually work, internally or externally, be sure to utilize Check My Links. This website checks for broken links. It is helpful in web development to make sure links are fixed before a website is made live. Ahrefs is an excellent tool for analyzing a websites backlink profile. This tool helps businesses and competitors discover new SEO opportunities. This tool generates personalized reports that contain the following metrics: Total backlink count, referring domains, referring IP subnets, Anchor cloud, Top referring TLDs, dofollow/nofollow percentages, plus many other metrics. This is another no-cost tool you should use. UpCity’s SEO Report Card allows you to analyze your website in comparison to your competitors. After completing some contact information, SEO Report Card will give you the following information: Link Building, Rank Analysis, On-Site Analysis, Trust Metrics, Current Indexing and Website Accessibility. Screaming Frog SEO Spider is search engine optimization specific. This tool “crawls” through chosen URLs for common SEO problems. It simplifies this otherwise time consuming process, especially when it comes to bigger websites. It is simply an amazing tool that helps a lot when launching a new website and lets you find what old URLs you need to 301 on the newly launched website to prevent any 404s and retain PR/link juice. Cost: LITE version is free, whereas the paid plan is $160 per year. Like most of the aforementioned tools, Majestic analyzes your website. The reports help marketers find inbound links and research a website backlink profile. However, this tool is not free. You can get a membership from $78.99-$399.99 per month depending on what your agencies and clients needs are. Varvy’s SEO Overview Tool has no-cost. This SEO auditing tool gives users a report with links, image SEO, social media counts and mentions, page and technical SEO, page speed, domain strength and more. Conveniently, this complete report is done in less than one minute. Finally, we hope these tools improve your own search engine optimization opportunities. These practices will increase your organic search results and ultimately help your grow your business.